This heat! We’re in Arizona, and it’s one of the most important factors in choosing our everyday styles. Wearing your hair completely down during the day is almost impossible without feeling a blanket over your neck, so most of us choose up-do’s during this time of the year. 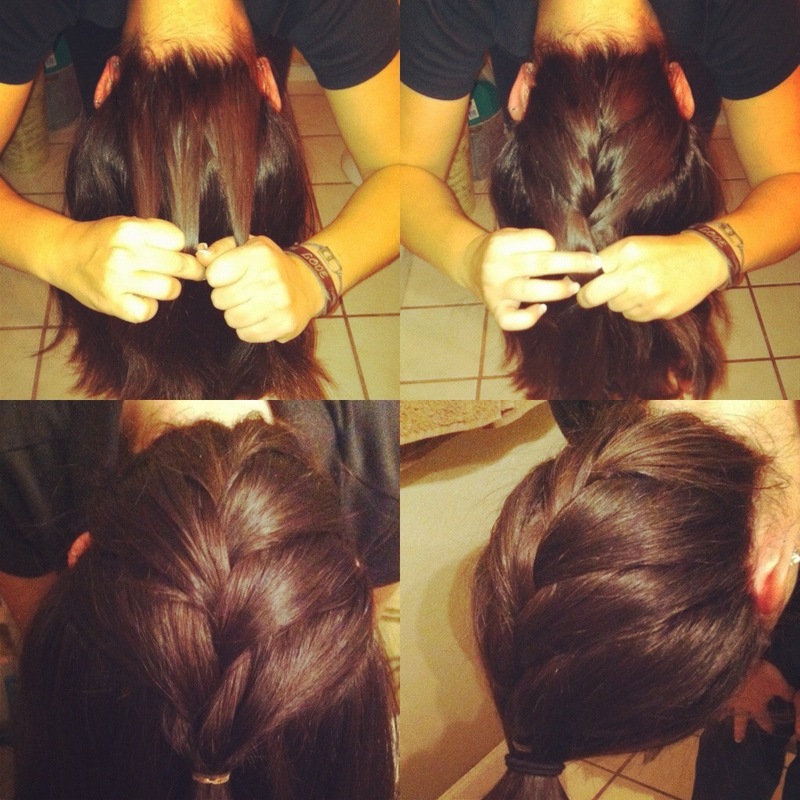 Best one that I’ve come across would be the upside down French Braid. It’s quite easy to do, and it’s great for a casual day or even a fancy night event. If you know how to French Braid, this should be no problem for you, and if you’re new to French braids, that’s okay! I’ve come up with an easy step by step how-to for you! Now you can start French braiding! Now, put the right piece over what is now the middle piece. The hard part is over, now you can make your bun! 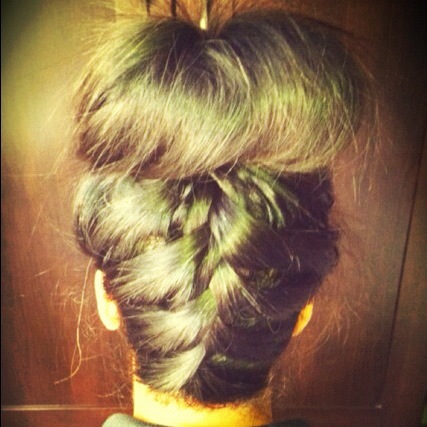 You can do a teased messy bun, or an elegant sock bun look to top off this upside down French Braid. Either looks work fine. Wrap your hair into a bun, and bobby pin the loose ends down to your head. Here are some photos of the steps I went through, and my finished product! We love feedback! Post a comment below and let us know how you liked our new how-to tips and if it’s something you want to see more on the blog!